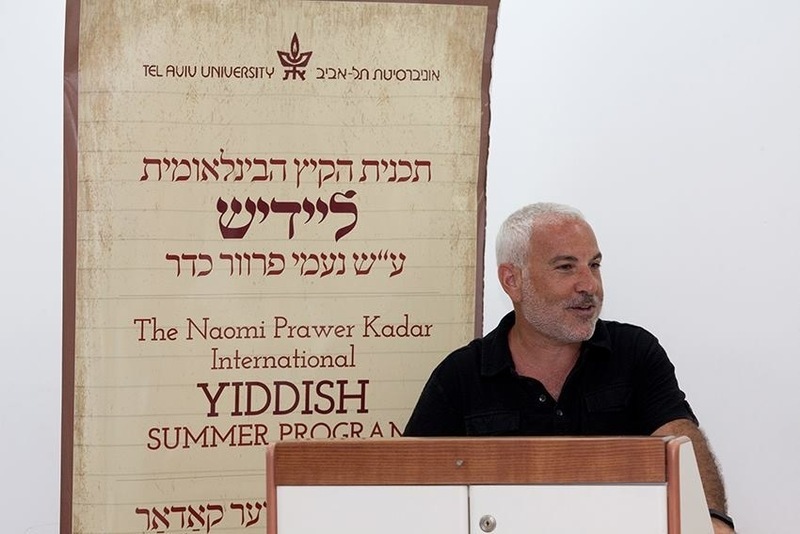 If you’re thinking about studying Yiddish this summer, there are many factors to consider: not just dates, cost, and location, but also the kind of learning that is offered beyond language instruction, the culture of the program, its pedagogical strategies and aims. There are a lot of options out there to meet the needs and interests of a wide variety of students. 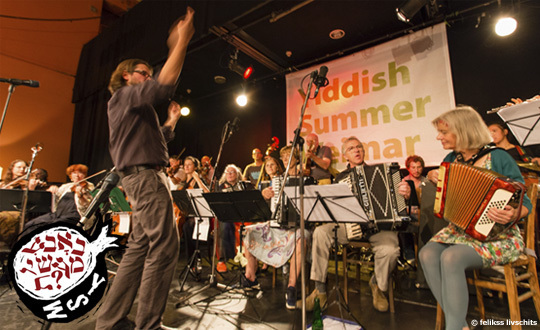 To make the choice easier, we’ve gathered information about all the best summer Yiddish programs in one place. 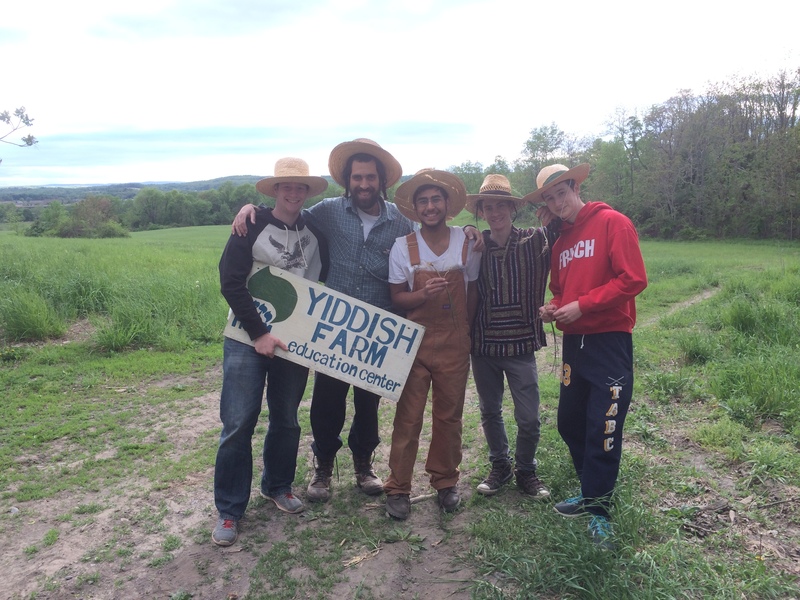 This year we’re also including in our list informal Yiddish-related retreats as well as Yiddish music and culture festivals and learning opportunities. Of course there’s only so much you can learn from a list like this one, which gives only at-a-glance information for comparison’s sake, so we’ve also included links after each program with suggestions of where you can go to learn more. 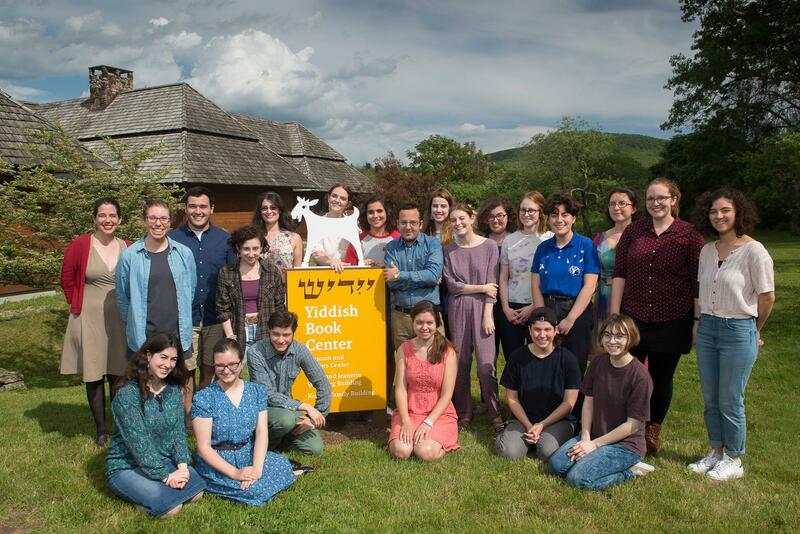 This fall we ran a series of reflections on Yiddish summer programs and many of these pieces are integrated into this year’s Summer Programs Roundup. If you know of a program or festival relating to Yiddish language or culture that we’ve left out, or if you would like to offer corrections or additions to this information, please let us know! Cost: Three-week program: 800 USD (1074.32 CAD, 680 EUR); for students 500 USD (671.45 CAD, 440 EUR); cultural program only 500 USD (671.45 CAD, 440 EUR). Two-week program: 550 USD (738.59 CAD, 480 EUR); for students 350 USD (470.01 CAD, 300 EUR); cultural program only 350 USD (470.01 CAD, 300 EUR). Scholarships available. Housing: Not included, dorm accommodations possible. Cultural Component: Lectures, film evenings, and some workshops, as well as guided tours of Jewish sites in Warsaw and visits to the Jewish Historical Institute, other venues and museums, Shabbat dinners. 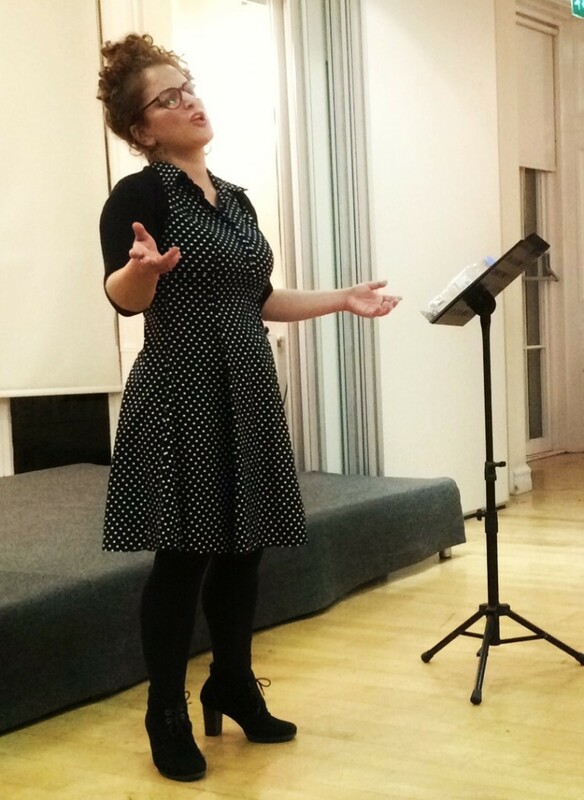 Read More About It: Katarzyna Markusz, “Yiddish comes alive in Warsaw every summer,” JTA (July 14, 2017). Application Deadline: rolling; scholarship deadline TBD. Cost: 1372.09 USD (1842.58 CAD, 1310 EUR) (limited scholarship aid available). Housing: Not included, the program assists with finding housing through a rental agent or through the dormitory. 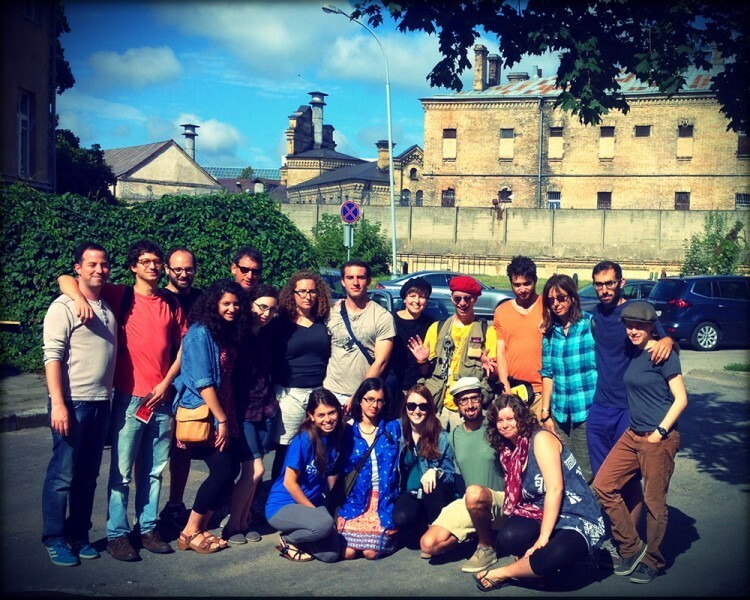 Cultural Component: Film screenings, tours, and concerts. Read More About It: Ellen Cassedy, “My Yiddish Month,” Na’amat Woman, Winter 2017; Erin Faigin, “Reflections on Space in Learning Yiddish,” In geveb, December 22, 2015. Dates: July 22-August 16 (three one-week courses). Cost: 78.55 USD (105.48 CAD, 75 EUR) per day ; reduced rate (for those who cannot afford the standard rate) of 62.84 USD (84.39 CAD, 60 EUR) per day; after the fourth day rate declines to 62.84 USD (84.39 CAD, 60 EUR) per day; reduced rate of 47.13 USD (63.29 CAD, 45 EUR). Scholarships available. Housing: Not included, registrants receive 10% off at a local hostel. Levels: Three levels, beginning to advanced. 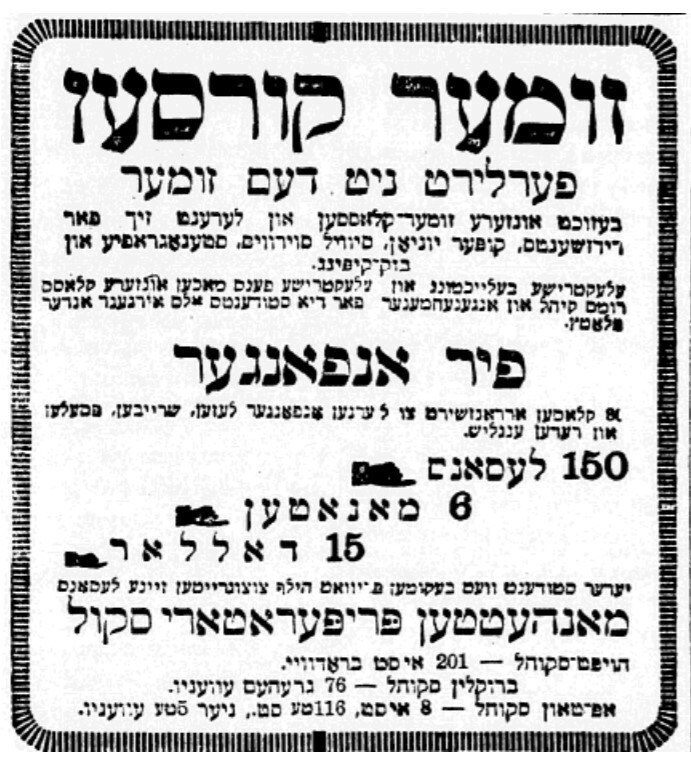 Read More About It: Itsik Gottesman, “Ten Years of Yiddish Summer Weimar,” Forward, August 18, 2010; Henry Bernhard, “”Yiddish Summer” in Weimar: Klezmer und jiddische Kultur,” Deutschlandfunk, 2016; Yael Breuer, “Leading Yiddish festival reveals ‘unseen diasporas.”’Jewish News Online, July 13, 2017. Housing: Not included, a list of hotels/apartments will be sent on request. Levels: Four levels, beginning to advanced, as well as a new teacher training program. 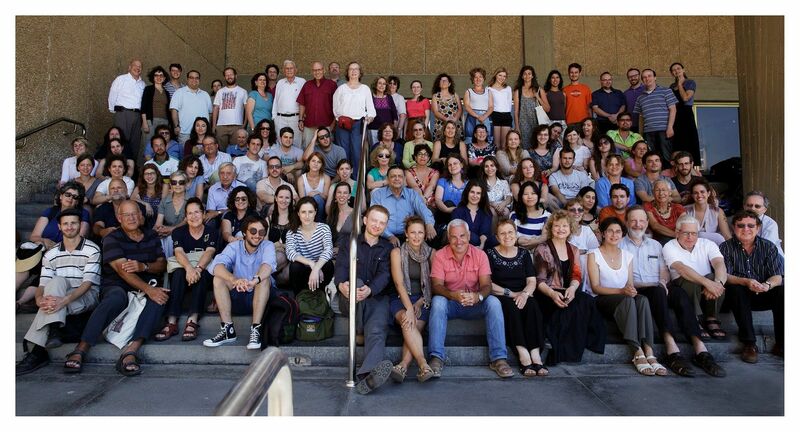 Cultural Component: Singing and recitation workshops, lectures, films, visits to Jewish sites. Read More About It: This program is part of a rotation of summer programs that alternate between Brussels, Strasbourg, Paris, and Berlin. 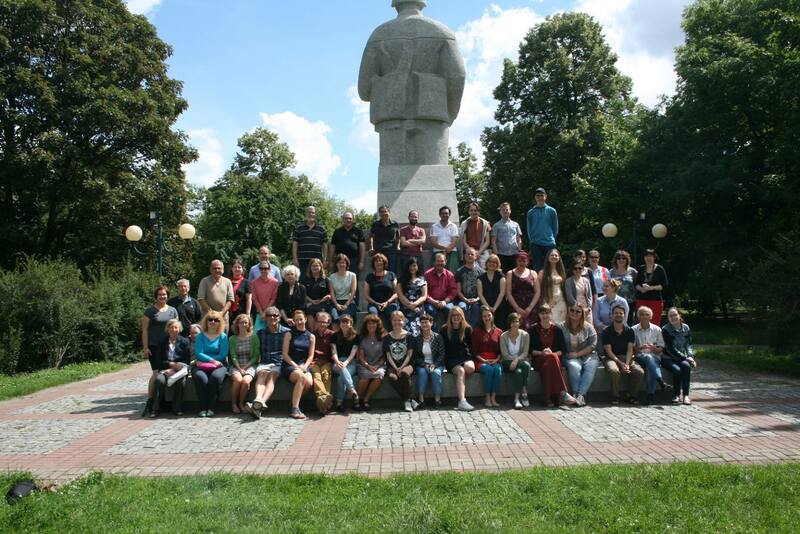 Read Ekaterina Kuznetsova’s reflections in In geveb on last year’s program in Berlin here. Cost: Full rate 307.29 USD (412.66 CAD, 293.38 EUR, 250 GBP); early bird rate 288.85 USD (387.90 CAD, 275.78 EUR, 235 GBP), returnees get an additional discount of 12.29 USD (16.50 CAD, 11.73 EUR, 10 GBP); Student/senior rate 215.10 USD (288.86 CAD, 205.37 EUR, 175 GBP); early bird student/senior rate 184.37 USD (247.59 CAD, 176.03 EUR, 150 GBP). Housing: Not included, but the program will help students find accommodation. Cultural Component: Part of a larger program with courses on Yiddish song, culture and dance that run simultaneously. Cost: 1450 USD (1947.20 CAD, 1384.38 EUR), scholarship aid available to all full time students (500 USD to B.A. students, 700 USD to M.A. students, 900 USD to PhD. Candidates); registration fee 60 USD (80.57 CAD, 57.28 EUR). Dates: The Helix Project unfolds over two calendar years. In August 2018 there will be a ten day intensive colloquium in Southern California and regular online workshops during the fall. In 2019 there will be a spring online seminar program and a summer travel experience to Central and Eastern Europe that begins in Southern California and spans the full month of July. Application Deadline: Early applications for students are currently open and close on February 9. Public applications open during January and run until March 2. Full time students, early-career educators, and professional artists are welcome to apply. Cost: At a minimum, all participants are responsible for making their way to and from Los Angeles in time for the residential program start dates. Helixers cover the majority of their meals during the Year One summer colloquium as well as public transit and other incidental costs as needed. All program costs are subsidized for all participants. The 2018 summer program fee is $3,000. This amount, heavily subsidized by generous contributions, includes tuition, accommodation, some transport, and some meals. Further scholarship aid is available and awarded based on need. 2019 travel program costs are approximately $10,000 in total. This includes touring fees, entry to cultural sites, tuition, accommodation, most meals, air travel, and ground transport. It is a pay-what-you-can program. Travel program contributions are assessed and negotiated on a case-by-case basis. In the past, the majority of participants have covered between 50-75% of these costs. Helix staff provide ongoing support for individual fundraising initiatives to help offset these costs. Housing: Housing and board, European ground travel, and flights in and out of Europe are included. Levels: A beginner digital course and an intermediate conversation/literature analysis discussion group. While traveling all content is available in English translation and participants will work with Yiddish texts as much as possible. Helix also offers basics in Slavic languages as part of the travel preparation. 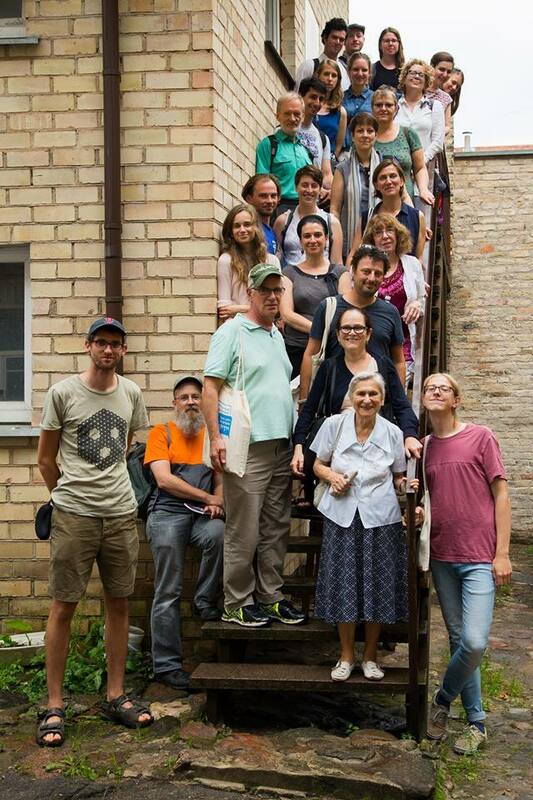 Cultural Component: The Helix Project is less a language program than a cultural program; participants learn about the history, literature, and folklore of Jews in Eastern Europe in situ. 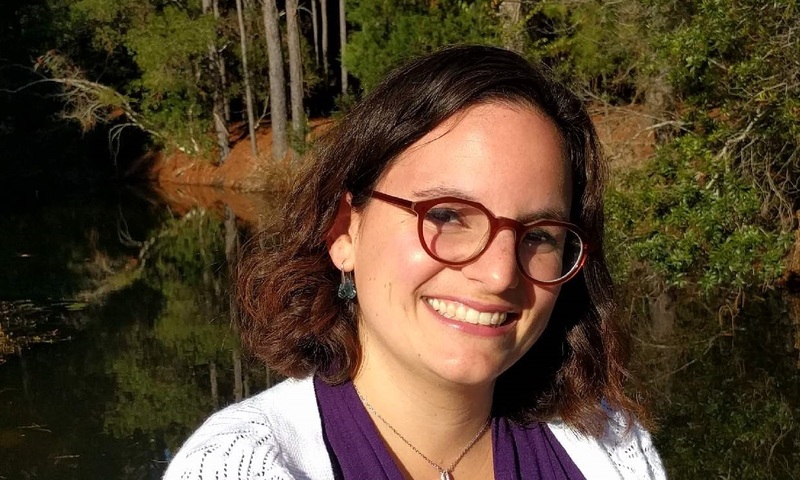 Read More About It: Erin Faigin, “Reflections on Space in Learning Yiddish,” In geveb, December 22, 2015; Also, in this oral history from the Wexler Oral History Project, Alana Fichman discusses her experiences in the Helix project. Housing: 1,400 USD (1880.06 CAD, 1336.64 EUR); Intermediate students may do an internship and have this waived, as well as receive a stipend. Limited need-based subsidies are also available. 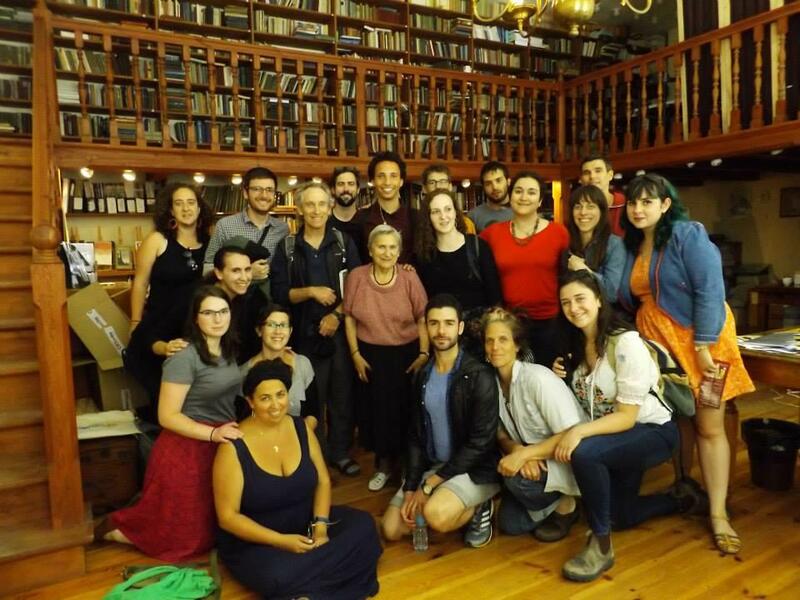 Read More About It: Noam Green and Tova Benjamin, “Seeking and Queering Utopia: A Chat About the Steiner Summer Yiddish Program.” In geveb, November 2017. Cost: 2,000 USD (2518 CAD, 1632 EUR); scholarships are available. 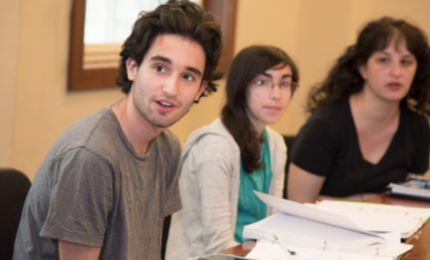 Students are eligible to obtain college credit through Bard College. Cultural Component: Conversation and culture classes in the afternoons, and a zingeray. Cost: 1,999 USD (2526.32 CAD, 1679.40 EUR), 1000 USD (1263.78 CAD, 840.09 EUR) non-refundable deposit due by April 1, 2018; cost includes meals; limited scholarships available. Read More About It: Sam Frizell, “Inside A Unique Yiddish Farm Thriving 50 Miles From Manhattan” The Gothamist, August 8, 2013. Cost: from 325 USD -1350 USD per person (270-1125 EUR, 408-1694 CAD), depending on housing choice (many options available from dormitory to private lakefront and lawn rooms). Cost includes meals, programs, and entertainment. Cost: Depending on type of accommodation, costs range from $850 USD/CAD for off-site registrants, $975 USD/CAD for tents, $1,000 USD/CAD for space in a shared cabin, or $1,500 USD/CAD for a hotel style room in the Retreat Centre. Special rates also available for families with children. Scholarships are available for emerging artists and scholars ages 16-35; reduced tuition for scholarship recipients is set at $375 USD/CAD. Tuition includes housing (except for off-site registrants), meals, and the full artistic program. 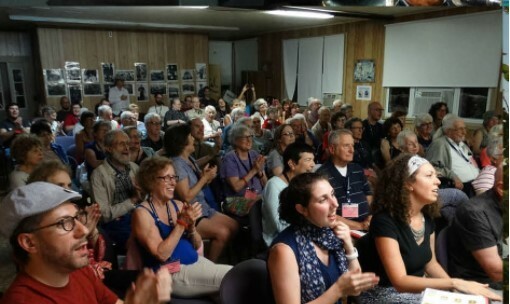 Cultural Component: KlezKanada’s Laurentian Retreat is a week-long immersion in Yiddish culture, arts, and music attended by an international and intergenerational community every year. 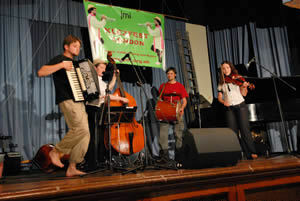 In addition to Yiddish language programming, KlezKanada is centered around intensive instrumental and vocal workshops in klezmer and Yiddish music, as well as classes in Yiddish dance, theatre, and visual arts, and lectures and film screenings in topics related to Jewish history, literature, and culture. 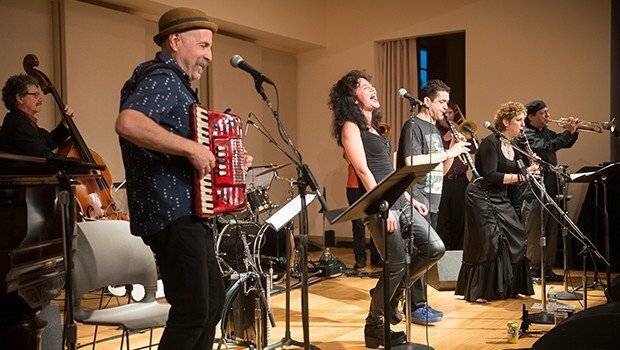 In the evenings, there are concerts featuring some of the world’s best klezmer bands, dance parties, and a late night cabaret. All this and more in an idyllic setting by a lake in the Laurentian Mountains. 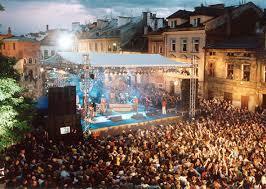 Description: almost 300 events including workshops, lectures, discussions, guided tours, concerts and jam sessions. Kirzane, Jessica. “Yiddish in ale lender! 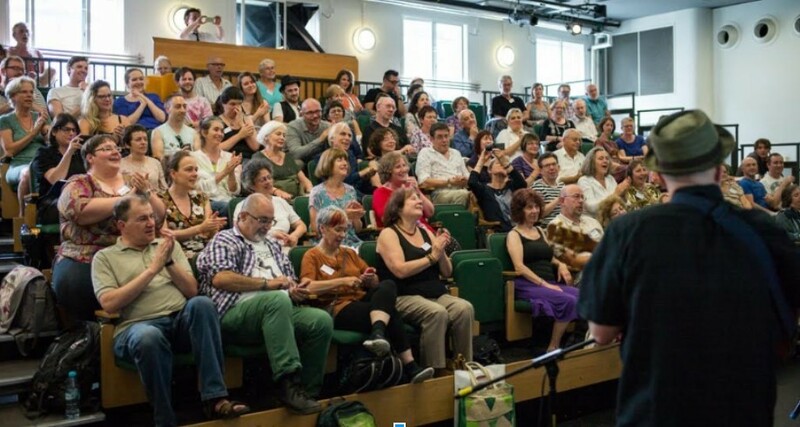 Yiddish Summer Programs Roundup 2018.” In geveb, January 2018: https://ingeveb.org/pedagogy/yiddish-in-ale-lender-yiddish-summer-programs-roundup-2018. Kirzane, Jessica. “Yiddish in ale lender! 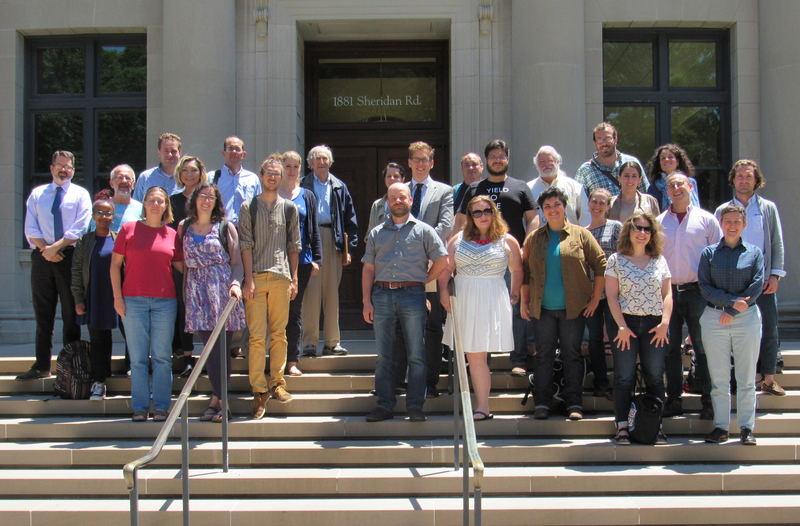 Yiddish Summer Programs Roundup 2018.” In geveb (January 2018): Accessed Apr 21, 2019.